Having exhausted, for the moment, that line of questioning, a reporter asked, "General, do you have any tentative conclusion or even a trend towards a belief of what these local radar blips are? There’s been talk that you did have the heat inversion those nights. Are you all inclined to believe that’s what it is?" Samford: I think that we’re learning progressively more and more about the radar and that these instances very likely are maybe good observations that the radar can make of something but not likely to be observations of the things the radar was designed to observe (laughter). Now, (laughter) -- all right. Now, let’s say -- we don’t know much about -- and I’ll be getting far afield here technically -- we don’t know much about the Northern Lights. We’d like to be able to measure that a little bit better. That is the kind of thought I was trying to express by saying radar was intended to observe aircraft for control of aircraft and to deal with aircraft. Now, you may have scientific advantages for observation that it wasn’t intended for.I wonder if you’d speak to my point on that, Captain James, whether I’ve gotten too far afield on something I don’t know anything about. James: Yes, sir; that’s quite true. We find that sometimes the radar set will be formed in a manner not desirable and due to the fact that it doesn’t happen every day everyone isn’t familiar with those characteristics and it sometimes turns out to be a mystery. Reporter: Well, getting back, if I may follow it up, on these local radar observations, then you come to the tentative conclusion that they’re physical phenomena? Would you say that? Samford: I think so, yes. Reporter: How is it we haven’t had them before? in the past and because they never bothered to associate them with flying saucers they’ve never gotten in the newspapers? Samford: Oh, they have associated them in the past with things that were thought desirable to intercept. I said a minute ago we’ve intercepted flocks of ducks and similar things. There’s some history of the lack of identification of friendly aircraft which causes a lot of unnecessary interceptions in some parts of the world, being mixed up with a lot of this sort of thing too in which we’ve had many interceptions that went out and identified a friendly that should have been established by some other method, but mixed up with those there have been many of these attempts to identify an unknown that fizzled out in the same way that the current ones have fizzled out. Reporter: In other words, it is not a rare phenomenon, this thing that happened Saturday night and the Saturday before that? Samford: It is not a rare phenomenon. Reporter: It’s not radar, and it occurs often enough so that you do have a history, and radar experts have been trying to find out what causes them; is that right? Samford: That is correct. Yes, sir. Reporter: General Samford, has the Air Force conducted any independent research through universities or through radar people, the Gilfillen people or whoever? Samford: Yes, sir. We have a number of available consultants, some contracts that have been initiated, some of them are being thought of, but, again, I think I’d like to go back to the point of profit in this thing perhaps being a measurement first, an adequate measurement that can do science. Reports of the same kind we’ve been getting except for this additional mechanical asset or opportunity called the radar have been going on since Bible times. Now, the radar gives an additional opportunity to observe something about that, but it still doesn’t measure it with the kind of precision that is needed to put it into analysis. Reporter: Are you getting something to do that? James: It has a de-fraction grid. Samford: Yes, a de-fraction grid on the front of it that will be useful against lights because through that de-fraction you’ll be able to say, from what substance the light was made? What gases were burning? Was it gas? Was it incandescence? And so forth. Now, those cameras -- the lens is about a $15 item, or this grid is, and the camera is about a $15 item. We have on order a small quantity, two hundred plus of those. We hope to be able to distribute those into the hands of people who might have opportunity. Now, with the great diversity of people who report it’s not too easy to put your finger on who has the highest opportunity to report, into whose hands such a device should go, but we think we may learn who might be the most optimum reporters. A great volume of these cameras to scatter around to try through the shotgun approach to get reports doesn’t look like too valuable a project but that is one way of trying to measure what there lights are. Reporter: For what purpose -- they have had similar gadgets before, I mean, to measure and to determine the origin of what generates the light. Is this a new type? Samford: It’s not new except that it hasn’t been aimed specifically at these items or focused on these items as far as we know. Reporter: General, the Captain mentioned a moment ago or had the thought that when there is temperature inversion the men know who are observing radar. Is it all right to ask if the Air Force thinks that these objects the other night were a result of temperature inversion? Samford: Well, I’ll answer that first, try to, and then ask Captain James for an opinion. I don’t think that we are quite sure that the [Dr. Donald] Menzel theory of temperature inversion or that scientists are sure that that is a good theory. It’s supported by some people. Other people who have equal competence, it would appear, discredit it. So the game as to whether that is the cause or not is about a fifty-fifty proposition. It’s appealing. It does satisfy certain concerns. Is that a fair statement or answer to that question? James: Sir, the Menzel theory applies mainly to light rays. James: In regard to the temperature inversion effect on radar waves that is fairly well established. Reporter: There’s no doubt about the latter, is there? James: We don’t have sufficient information to say definitely that that was the cause. Reporter: You said an experienced radar operator could tell the difference. James: I would say so. Reporter: Wasn’t there a naval battle during the war in which there was a great engagement fought against an inversion of radar? This refers to an incident during the summer of 1943 in which a Navy task force fired a thousand rounds at objects that had appeared on radar. Lookouts reported seeing flares from the Japanese navy. Vice Admiral Robert C. Giffen had commanded the American forces in what he described as a battle of the blips. In other words, Giffen was suggesting that the Navy had fired on targets that were a result of temperature inversions and not on something real, that is Japanese, that was attempting to invade one of the Aleutian Islands. James said that he understood that this had happened. They continued the discussion about the temperature inversions and what would be visible to the unaided eye. A reporter asked, "Would that account for the fact that these images disappeared and reappeared on these screens recently?" James: I’m not positive about that. There’s a possibility. Reporter: Captain, was there temperature inversion in this area last Saturday night? Reporter: And the Saturday night preceding? James: I’m not sure about the one preceding, but there was last Saturday night. Reporter: Was there one last night? Reporter: Captain, did any two sets in this area get a fix on these so-called saucers around here? James: The information we have isn’t good enough to determine that. Reporter: You don’t know whether Andrews Field and Washington National Airport actually got a triangulation on anything? James: You see, the records made and kept aren’t accurate enough to tie that in that close. Reporter: What is the possibility of these being other than phenomena? Samford: Well, I’d like to maybe relieve Captain James just a minute. Your question is what? missiles launched from some other country, for example? Samford: Well, if you could select out of this mass any particular one or two and start working on them and say, "What is the possibility of them being these things?" Then you come to the point and say this one is reported to have done things which require for it to do those things either one of two conditions, absolute maximum power or no mass. If this is a thing in terms of a guided missile, it does these things if there is theoretically no limit to the power involved and there is theoretically no mass involved. That’s one of the conditions that would say, well, if someone solved one of those problems, this could then be explained as one of those things. You find another one and it has -- it just develops into no other purpose or no other pattern that could be associated with them, a missile. Those which we might identify as being missiles will be tracked. They’ll have a track to develop, something that people can put a measurement to. I don’t know whether that answers the question. It satisfies some of it, but maybe not all of it. The truth is, that Samford’s response didn’t answer the question which was simply if the objects spotted could have been missiles launched by another terrestrial government. The answer was a simple, "No." Instead Samford begins to talk of an object that has access to virtually unlimited power and that has no mass. He never did explain what these two conditions had to do with the question that had been asked, but is certainly sounded as if he was rendering a scientifically sound answer. Reporter: Have there been any such instances so far in which you had information that indicated that either of these two conditions were fulfilled? Reporter: No limit to the power. Samford: You know what "no mass" means is that there’s nothing there! (Laughter). Reporter: How about the power? Samford: In terms of earthly weights and earthly value. Samford: And unlimited power -- that means power of such fantastic higher limits that it is a theoretically unlimited -- it’s not anything that we can understand. It’s like my trying to understand -- I want to be careful because I was going to say a million dollars, but I can’t understand a hundred! It’s one of those questions of unlimited power that just gets beyond your comprehension that has to be used to meet this. Moving back to the Washington Nationals, one of the reporters asked, "On what did they report sightings?" Ramey: In one or two instances, they reported sighting lights. In one instance, they reported locking on an object. It is pretty clear from the discussion of the pattern of two airplanes that went out that one of them was locked on the other one. Reporter: Back to the ionized cloud. Were the blips picked up recently comparable to the ionized cloud or were they different in maneuvering or motion? Reporter: General Samford, I understand there were radar experts who saw these sightings Saturday night or early Sunday morning. What was their interpretation of what they saw on the scope? Samford: They said they saw good returns. Reporter: Which would indicate that these were solid objects similar to aircraft? Samford: No, not necessarily. We get good returns from birds. Samford: No, unless it was close. A point must be interjected here. The radar operators were all trained men who had been working at the nation’s capital’s airport. They would have, in the past, seen birds and temperature inversions on their radar scopes. They would be familiar with these sort of natural phenomena and wouldn’t be easily fooled by them, especially when it is remembered that they had years of experience. This wasn’t the situation ten years earlier when radar operators were poorly trained and the operations of radar were poorly understood. Reporter: Did they report that these could have been birds? Reporter: Can you get a good return from a reflected ground target, General? James: You can get a very large return from a reflected ground target. Reporter: Just as good as you might get from an object actually in flight in the air? James: Actually thicker. It depends on the amount of bending. Reporter: And just as sharp on the scope? Reporter: Can you get a blip from the (inaudible) created by temperature inversion? James: On the ground target, yes. Reporter: In other words, something that’s on the ground that’s reflected off a refracted cloud bank would throw off a blip on the radar screen? James: Yes, sir. That’s true. Reporter: Would a nearby radar set get that blip at exactly the same speed? Reporter: In other words, you can have a light and something that lacks substance and material and still have a blip? James: I don’t quite understand the question. Reporter: You can have a radar image that’s created without the necessity of radar striking the solid object or a semi-solid object, such as a cloud. Reporter: But you said it can be simply a reflection of something on the ground. Reporter: In other words, it doesn’t have to be in the air. Reporter: In the area covered by the sweep on the radar? James: It has to be in the area covered by the radar set. It has to be within the range. Reporter: But not in the air. James: But not in the air. Reporter: What sort of ground targets give these reflections? James: It depends on the amount of temperature inversion and the size and shape of the ground objects. Reporter: Would this reflection account for simultaneous radar sightings and visual sightings which appear to coincide on the basis of conversations between the radar operator and the observer outside? James: There is some possibility of that due to the same effects. Reporter: Why would these temperature inversions change location so rapidly or travel? James: Well, actually, it can be the appearance or disappearance of different ground targets giving the appearance of something moving when, actually, the different objects are standing still. James: Not to people that understand what’s going on. They do cause some difficulty. Reporter: How about the CAA men? It is clear from the questions that the reporters understood little about radar operations and temperature inversions. Captain James made it clear with his answers that trained, qualified, experienced men could tell the difference between real targets and those caused by temperature inversions. It is also clear that the reporters had somehow come to the conclusion that the temperature inversions were responsible for creating the lights reported by both airline and military pilots and the men on the ground. The reporters had begun to think of a temperature inversion as a "cloud." That is, they seemed to think that it was something that could be seen, not realizing that a temperature inversion was merely a cold layer of clear air under a warmer layer of clear air. There would be nothing for anyone to see. Reporter: Would the disappearance or reappearance of these blips be accounted for by the movement of a cloud bank that reflected a ground target? James: Well, actually, it’s not a cloud bank. It’s a temperature inversion of the atmosphere. You see, if warm air comes in over a cool area, you have a temperature inversion and the atmosphere is perfectly clear, and still the rays will be bent. The reporters have become confused, believing, for the moment, that the visual sightings were a result of the temperature inversion. They are searching for an explanation for what was seen by the pilots and ground observers, but a temperature inversion is, essentially, invisible to the human eye. Now we get to the point of the press conference and that was to talk about the sightings from Washington National Airport. Reporter: General, have you talked to your Air Force Intelligence Officer who is over at the National Airport when they were sighting all these bandits on the CAA screen? Samford: Yes, sir; I have. Reporter: And have you talked to the Andrews Field people who apparently saw the same thing? Samford: I haven’t talked to them myself, but others have. Reporter: Well, could you give us an account of what they did see and what explanations you might attach to it? Samford: Well, I could discuss possibilities. The radar screen has been picking up things for many years that, well, birds, a flock of ducks. I know there’s been one instance in which a flock of ducks was picked up and was intercepted and flown through as being an unidentified phenomenon. Reporter: Where was that, General? Samford: I don’t recall where it was. I think it might have been in Japan but I don’t recall the location of that. That’s just a recollection of what that sort of thing could happen and I do know that at Wright Field there was one of these things on radar -- that was in 1950, I think -- maybe Captain James would reinforce that. Was that in 1950? Samford is on fairly safe ground here. There are any number of reports in which the capabilities of the radars were not fully understood. During the Second World War, radars in Great Britain produced a strange phenomenon every morning as a blip came off the ground and then seemed to expand until it disappeared. They found that birds, taking off in the morning were the cause. Samford: Again, there are theories like the men whose theory of light refraction which says that temperature inversion in the atmosphere can cause an image from somewhere else to be reflected in positions where it is not. If that is a correct theory, related to it is another oddity with respect to the ground effect that you get in radar. Now, the conditions that seem to produce these temperature inversions and possibly the same kind of thing for ground targets being misplaced in altitude -- I don’t know that it is worded that they’re misplaced in azimuth -- is somewhat typical of the kind of hot humid weather that we’ve been having here in the last three or four weeks. There’s no reason to relate those phenomena to those atmospheric conditions positively, but it is a possibility. Please note here something that the reporters failed to understand. Samford suggested a possible explanation but also said that there was no reason to believe that the sightings were related to the weather conditions. The reporters apparently didn’t hear this part of Samford’s statement. Reporter: What did they see on their radar scopes? Samford: I don’t recall that they saw anything. Do you remember, Roger, whether anything was sighted on their radar scopes? Actually there were airborne radar locks. This is based on the testimony of Norman Sykes, one of the interceptor pilots who was involved in some of the attempted intercepts on July 26. He had no visual sighting, but his radar operator did, in fact, detect some of the UFOs that night. 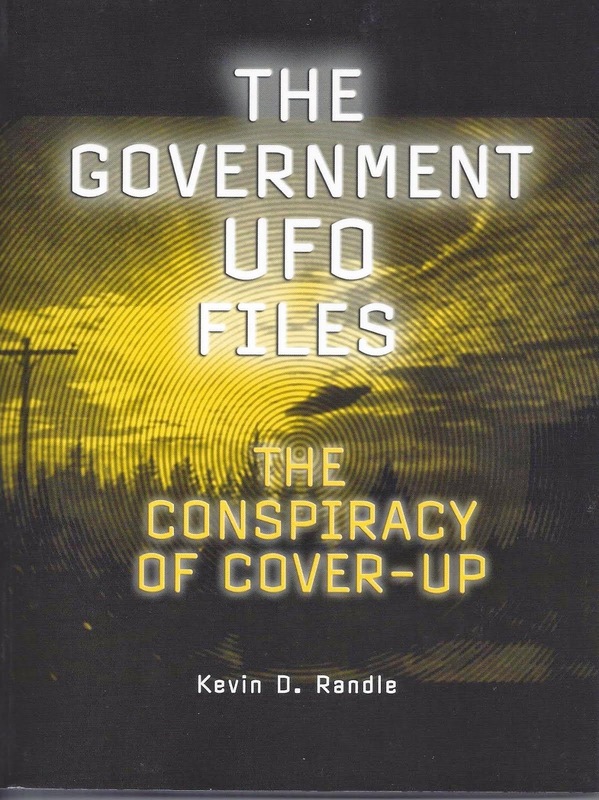 It is possible that Ramey didn’t know this, but given the history of UFOs, I believe that Ramey would have been quite interested in these sightings and would have taken the time to learn something about them. To the reporters, however, he continued with th proper Air Force line... as his orders would have been to do. Samford, having suggested that the official study was now just an intellectual exercise, that the Air Force is no longer worried about national security said, "Now, I think with those opening remarks I could invite questions. Questions, yes, sir?" Reporter: Have there been more than one radar sighting simultaneously -- that is, blips from several stations all concentrating on the same area? Samford: You mean in the past? Samford: Yes. That is not an unusual thing to happen to this sequence at all. Phenomenon have passed from one radar to another and with a fair degree of certainty that it was the same phenomenon. To say that there have been simultaneous sightings, the same thing by different radar, I think that we could be quite sure that that has occurred simultaneously. Now, when we talk about down to the split second, I don’t know, but simultaneously in time sufficient for us to argue that they’ve been two mechanical observations of the same thing. Reporter: Enough to give you a fix so that you can be sure that it is right in a certain place? Samford: That is most rare. Reporter: Has there been any? Samford: Most rare. I don’t recall that we have had one that gives us that kind of an effect. Reporter: Could that be due to ionized clouds? Samford: There are thoughts that ionized clouds do have some influence on this. We do know that the thunderstorm activity is quite nicely identifiable by radar because we use the radar for the purposes of avoiding thunderstorms and we do have some that show the storm area that’s coming in towards principal stations where protection is necessary in terms of high winds and thunderstorms. Samford is avoiding the question here. The Washington Nationals were just the sort of sightings that the reporter had been trying to identify. The sightings involved multiple targets on multiple sets in which, those who attempted visual confirmation found lights where the radars showed them to be. This question was the whole point of the press conference, but Samford just didn’t answer it. Reporter: How much money would you say the Air Force spends a year tracking down these flying saucer reports? Given the circumstances of the press conference, and what had just been reported in the newspapers, the question is somewhat irrelevant. If the phenomenon is real, then regulations required investigation. If it posed a threat to national security, again, regulations required it. The investigation was something that was required to learn the truth, so the amount of money spent meant virtually nothing. Samford: Well, the energy that’s going into it at the present time is outside of anything except the normal reporting procedures. Most of our reports come from individuals or, we might say, I think, on the order of sixty-odd per cent comes from the civilian population straight out. I think there might be something like eight per cent come from civil airlines pilots. You might find that another percentage, in the order of twenty-five, might come from military pilots. And the effort to further analyze them and profit in going after that in a big way is going to have in some way to be related to a standard measurement that makes this material for workman to work on. I suppose that it not necessary to point out again that Samford did not answer the question. Instead he suggested the percentages of those who report flying saucer sightings to the Air Force. He offered no evidence that his statistics were accurate, and in reality, it makes no difference. Having told his first lie (well, maybe made his first distortion would be a better way to phrase it), that the Air Force had something called Project Saucer, which I point out because some skeptics, okay, CDA, seems to believe that these officers would breach security while standing in front of a bunch of reporters, the conference continued. Samford: H owever, there have remained a percentage of this total [of sighting reports], in the order of twenty per cent [sic] of the reports, that have come from credible observers of relatively incredible things. And because of these things not being possible for us to move along and associate with the kind of things that we’ve found can be associated with the bulk of these reports, we keep on being concerned about them. However, I’d like to say that the difficulty with disposing of these reports is largely based upon the lack of any standard measurement or any ability to measure these things which have been reported briefly by some, more elaborately by others, but with no measuring devices that can convert the manageable material for any kind of analysis that we know. We take some of these things and we try to bring to the good honest workmen of science a piece of material that has no utility because it doesn’t have the kind of measurements on it that he can use. And, as a consequence, he has to reject these things and say, "Until you can bring me something more substantial than that, I can’t make any progress." So our need, really is to get the measurement value on these and, in the interim, lacking sufficient measure of these things to make them amenable to real analysis, we have to say that our real interest in this project is not one of intellectual curiosity but is in trying to establish and appraise the possibility of menace to the United States. And we can say, as of now, that there has been no pattern that reveals anything remotely like purpose or remotely like consistency that we can in any way associate with any menace to the United States. To this point, Samford has said little of real value. He has admitted there is a problem and that they have studied it, but they found nothing for science to investigate. An examination of UFO sightings prior to this point reveals that such is not the case. There had been a number of photographic cases, including movie footage, which can be measured and studies in the lab. There have been a number of radar cases, including the Washington Nationals which spawned the press conference, in which measurements could be made and examined by science. Samford was being less than candid, assuming that he knew what was in the Project Blue Book files, and as the Director of Intelligence, he should have known, at least something about that. This might be construed as his second lie, though that is somewhat strong language. Once again, he is protecting the classified information. We can argue about the reason it was classified, but as classified information he would not be able to talk about it with those who were not cleared to hear it. This statement also provides a clue as to the nature of the official investigation in the summer of 1952. The Air Force had attempted to learn if there was a threat and had convinced itself that flying saucers were not a threat to the security of the United States. Satisfied that alien invasion fleets were not about to land, the Air Force attitude was that flying saucers did not warrant any sort of investigation by them. Air Force officers had fulfilled their mission when they determined there was no threat to national security. Besides, there was nothing they could about them anyway. Samford: Now, we do want to continue in the interests of intellectual curiosity or the contributions to be made to scientific measurements, but our main interest is going to have to continue in the problem of seeing whether the things have [the] possibility of harm to the United States, and our present dilemma of lack of measurement that can be turned to analysis and a complete lack of pattern in any of these things which gives us any clue to possible purpose or possible use, leaves us in some dilemma as to what we can do about this remaining twenty per cent of unidentified phenomena. The volume of reporting is related to many things. We know that reports of this kind go back to Biblical times. There have been flurries of them in various centuries. 1846 seems to have had a time when there was quite a flurry of reporting of this kind. Our current series of reports goes back, generally, to 1946 in which things of this kind were reported in Sweden. There are many reasons why this volume goes up and down, but we can’t help but believe that, currently, one of the reasons for volume is that man is doing a great deal more. There’s more man-made activity in the air now than there was, certainly, in Biblical times or in 1946. In addition to that, our opportunities to observe have been enhanced greatly. The difficult part of it, as far as advancing the program is concerned, is that our ability to measure doesn’t seem to have advanced in any way as well as our opportunity to observe and greater recurrence of more disturbing things of this sort that are actually in existence from man-made air participation that we know about. So our present course of action is to continue on this problem with the best of our ability, giving to it the attention that we feel it very definitely warrants in terms of identifying adequately the growing or possible or disappearing, if it turns out to be that, menace to the United States to give it adequate attention. While General Samford is giving lip service to the idea that Air Force officers treat the subject seriously, the truth is that they didn’t. In less than a year, the staff of Blue Book, as it had existed in July, had been reduced to the point where it could do nothing. At its lowest, it was "commanded" by an airman first class, one of the lowest ranking of the enlisted grades. No officer was assigned. Ruppelt himself wrote that in December 1952 he asked for a transfer. He agreed to stay with Blue Book until February 1953 so that a replacement could be assigned and trained but no replacement arrived. Ruppelt left Blue Book in the hands of a single officer and one enlisted man. By July 1953, the enlisted man was the sole soldier manning the office. When Ruppelt returned to Wright-Patterson Air Force Base he learned that the investigation had collapsed. I have been advised, by a friend, Tim Banse, who seems to understand these things, that some of my postings are waaaaaaaay too long. He suggested that I break them up into smaller bites. In keeping with what I believe to be sage advice, here is the first part of the entire transcript, with my editorial comments, of the Air Force press conference about the Washington National UFO sightings in 1952. This came about after the second round of Saturday night radar and visual sightings, and after a number of failed intercept attempts. The Air Force believed it necessary to call a press conference to explain the situation, at least as they saw it. 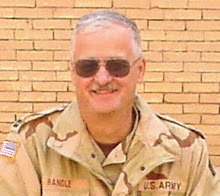 Ed Ruppelt called the conference the largest and longest that had been held by the Air Force since the conclusion of the Second World War. Ruppelt also suggested that the cards had been stacked again Major General John A. Samford, the Director of Intelligence, who was the senior officer at the conference. Because Samford had to "hedge" on many of the answers to questions because the investigations had not been concluded, it seemed, to many of the assembled reporters, that the Air Force was attempting to hide the truth. The press conference was held at the Pentagon, in room 3E-869, to be precise. Also attending for the Air Force was Major General Roger M. Ramey, then the Director of Operations for the Air Force and the same Roger Ramey who had been at 8th Air Force Headquarters in Fort Worth during the Roswell UFO crash briefings in July, 1947, as our old friend CDA thought to advise me, as if I didn’t know. Others there for the Air Force included Colonel Donald L. Bower, of ATIC, Captain Roy L. James, an expert in radar operations and also from ATIC, Ed Ruppelt, the chief of Project Blue Book, and Mr. Buroyne L. Griffing, a civilian from ATIC. 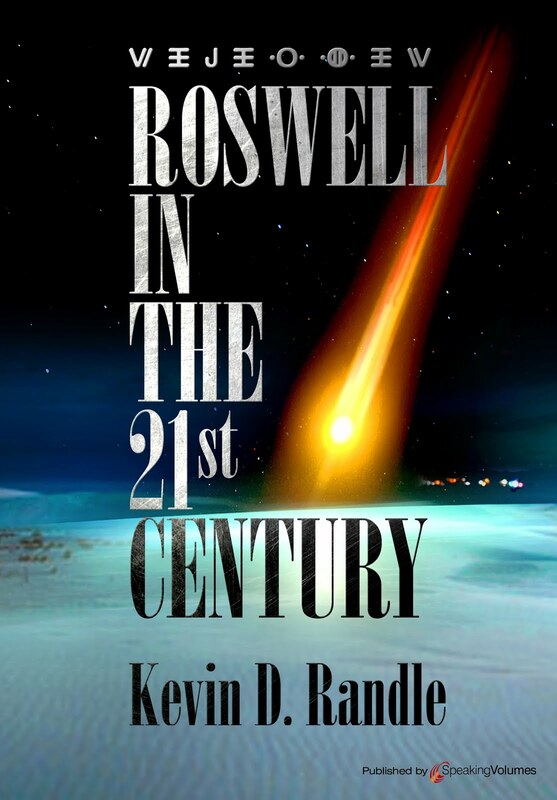 Conspicuous by their absence were Major Dewey Fournet, the military liaison officer between the Pentagon and Project Blue Book, Al Chop, the official Pentagon spokesman on UFOs, and Lt. John Holcomb, the Naval officer who was an expert on radar and electronics. Since all three had been at Washington National during the second set of sightings, their inclusion would seem to be a natural event. Apparently the Air Force had other ideas because none were there to answer questions even though all were assigned to the Pentagon in Washington. Ladies and gentlemen, let me remind the military that, while they are welcome here, this is a press conference and let’s be sure that the press is all seated before the conference begins. This refers to the fact that many military officers who had no role in the press conference were in the room to listen to it. They were being told to sit down and shut up. Let me introduce General Samford, Air Force Director of Intelligence, and General Ramey, Director of Operations. General Samford. Major General Samford: I think the plan is to have very brief opening remarks and then ask for such questions as you may want to put to us for discussion and answer. In so far as opening remarks is [sic] concerned, I just want to state our reason for concern about this. The Air Force feels a very definite obligation to identify and analyze things that happen in the air that may have in them menace to the United States and, because of that feeling of obligation and our pursuit of that interest, since 1947, we have an activity that was known one time as Project Saucer and now, as part of another more stable and integrated organization, have undertaken to analyze between a thousand and two thousand reports dealing with this area. And out of that mass of reports that we’ve received we’ve been able to take things which were originally unidentified and dispose of them to our satisfaction in terms of bulk where we came to the conclusion that these things were either friendly aircraft erroneously recognized or reported, hoaxes, quite a few of those, electronic and meteorological phenomena of one sort of another, light aberrations, and many other things. It is important to note that there never was a Project Saucer in a real sense. When the Air Force created its first investigation, code named Sign, it publicly called the project by the name of Saucer. Later, after the code name Sign was compromised, the Air Force announced that it had ended its investigation, but, in reality, continued it as Project Grudge. Eventually Grudge evolved into Project Blue Book, but when speaking with civilian officials and members of the press, the unofficial name of Project Saucer was often used. The actual press conference began then and will be noted in the next installment of this posting. I’m not sure why I haven’t posted this before. It is the best UFO headline ever. It is something right out of a science fiction movie. It refers, of course, to the sightings that took place in July 1952 over Washington, D.C. The Air Force eventually claimed that these sightings were the result of a temperature inversion but the problem was that there were sightings on the ground, sightings in the air, radar sightings, and a rather “hairy” intercept by jet fighters. In fact, fighters were scrambled on a number of occasions during the sightings, and yes, the fighters got a radar lock on the objects and the pilots saw them in the air. There has been much written about these sightings (including my own book on them) and while the Air Force is happy with the explanation, as are the skeptics, there were just too many sightings, too many witnesses and even observations using instrumentality to write them off so easily. In today’s world, not everything is as it seems. Not all that long ago, I ran a feature that suggested a witness claiming a long military background could produce no documents showing this, other than a couple that looked to be forgeries. When I requested his records from t he National Personnel Records Center, part of the National Archives system in St Louis, they showed a short military history in the Army and nothing from the Air Force. In other words, the records that I received from them did not agree with what he was saying or with the four other documents that he had supplied. So I decided to run a test. Using my mother-in-law’s name, I requested my records for my Air Force service from the same source. What I received from them was a surprise. Let me point out here that I have, in my possession, literally, hundreds of documents from my military career. I have DD 214s from my service as an Army enlisted man, as a warrant officer, as a commissioned officer in the Air Force, and finally from my service in Iraq. I have copies of orders, I have commendations, I have OERs (one of which always brings a smile because it mentions that I had worked with the CIA, FBI and Special Forces). And, of course, I have the ID card supplied to retired members of the military that showed my rank at retirement. In other words, if there was nothing in St. Louis, I have backup documents. What did I get back from St. Louis? A document so riddled with errors and mistakes, that it frightens me. Others who might request my records, to find out if I have been honest about my military service would have a field day. They could point to these errors as evidence that I have been less than candid. This document, which says my branch of service was the Air Force (which would be correct for part of my career) also has my Army serial number on it. It gives my dates of service for the Air Force, that are actually my dates of service on active duty with the Army, my first service with the Nationa l Guard, and then the termination or discharge date which is the date I was commissioned in the Air Force. It notes my "Rank/Grade" as 1LT and provides nothing about any military education, shows that I have been awarded an Air Medal, a Good Conduct Medal, the National Defense Service Medal, the Vietnam Service Medal, the Republic of Vietnam Campagign (sic) Medal and oddly, the Air Force Small Arms Expert Marksmanship Ribbon. Finally, they include a portion of what was known as the Form 2, which provides information on assignments and geographic locations... all of which related to my first active duty service... with the Army. It notes assignments as a helicopter pilot which means there should have been a note on the form showing that I had earned an Army Aviator’s Badge. It does, at least, confirm service in Vietnam and that I had been promoted to CW2, which means, at some point, I had been a warrant officer. I had not been commissioned until after the last date on this document. I have tried to figure out how this got so messed up. I did request my Air Force service and this was what came back. It is a document that is useless in verifying anything. It tells me that the information supplied by the National Personnel Records Center, for verifying the claims of those who say they have military service are next to useless. Oh, it verifies my claims, but only part of them and then most of the information is inaccurate, twisted and warped. I suspect part of the problem here is the Privacy Act of 1974 and today’s concerns with identity theft. What they are doing is designed to protect the individual, but what I don’t understand is how that information can be so twisted. The moral of this little story is that we need to be careful as we move forward and make sure the facts are correct. We need to check other sources. For me, I found a picture of my flight school platoon on the Internet and there is a web site (a really nice one) that lists me as one of the pilots in the unit complete with a picture from 1969 and one from my service in Iraq (Standing under the Crossed Swords in downtown Baghdad). There are other ways to verify what I have said in the past, but the one source that everyone thought they could rely on turns out to be less than accurate.